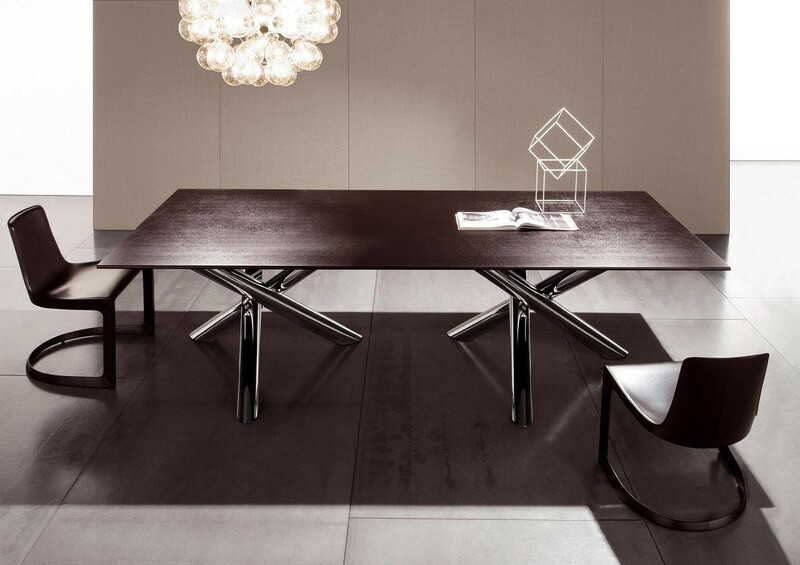 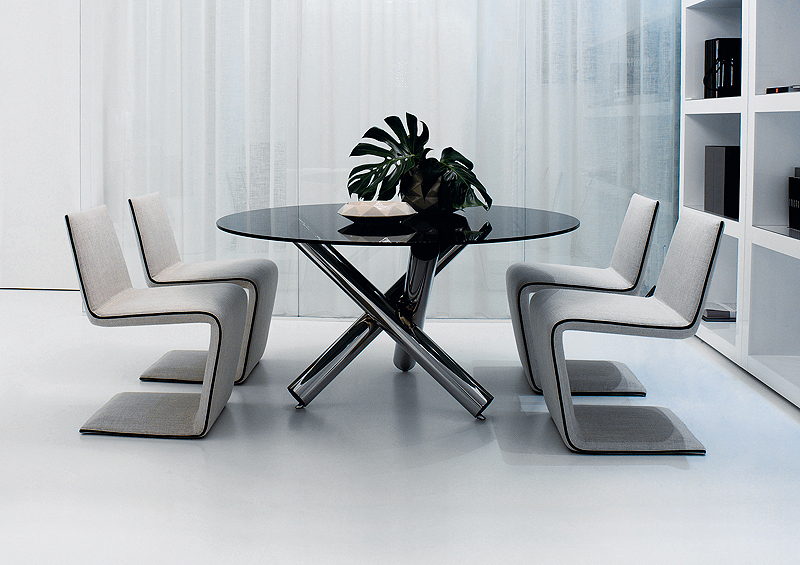 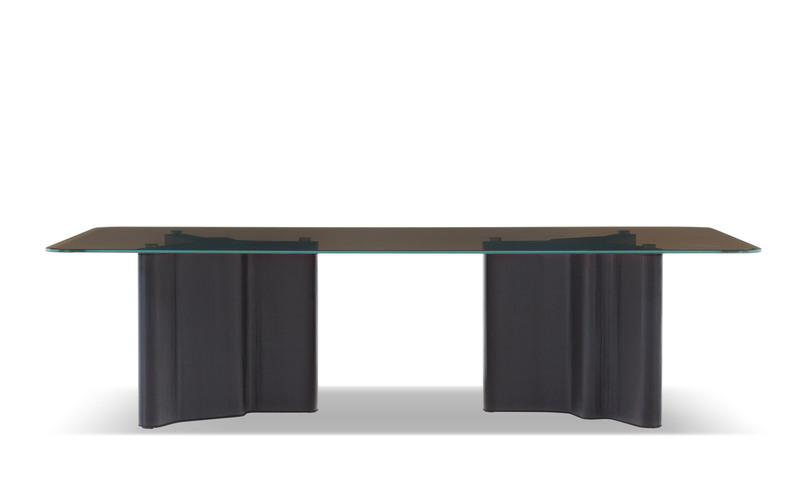 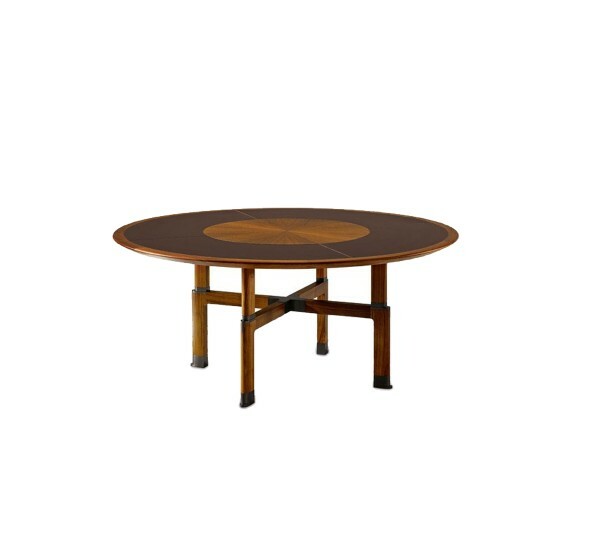 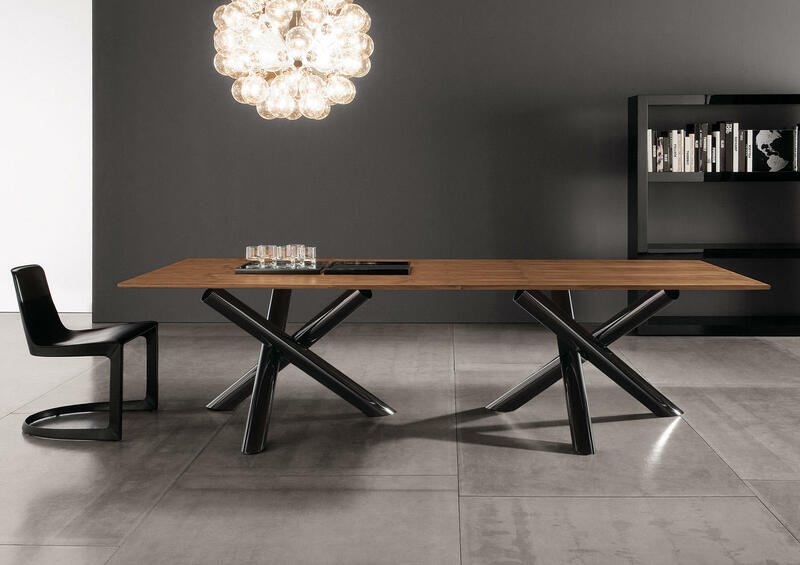 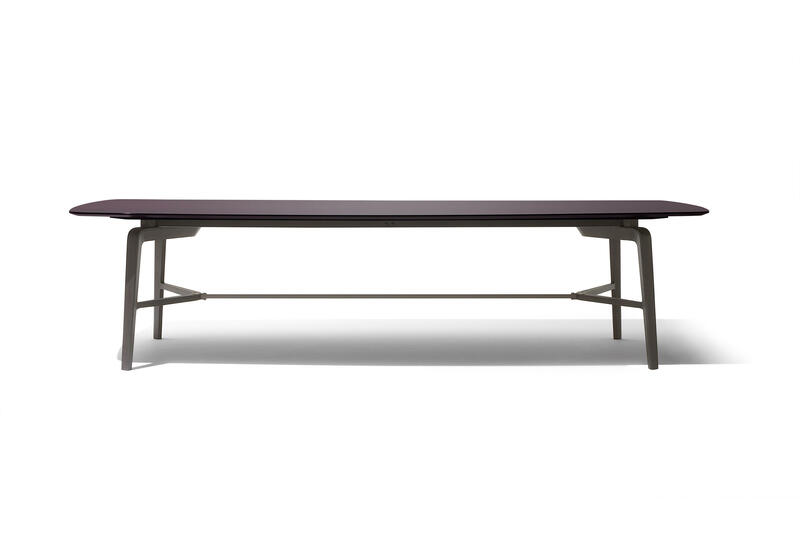 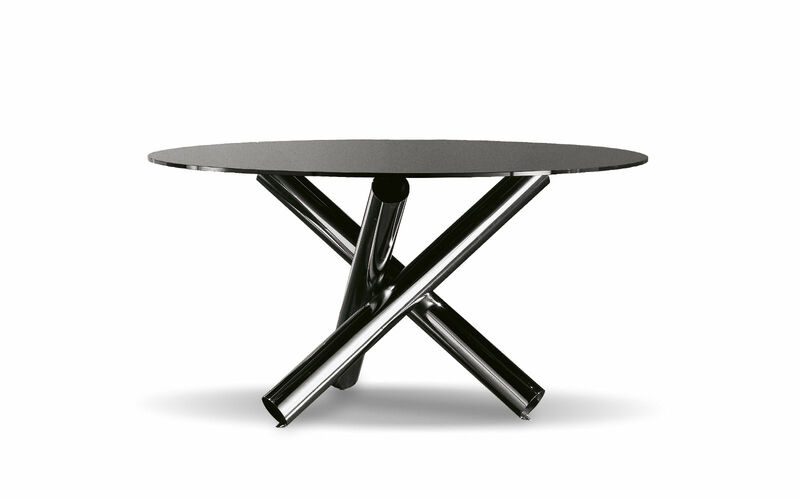 Dining table striking base is made of welded 10 cm diameter metal tube and comes in Black-Nickel or glossy painted Butter, Black and Pewter finishes. 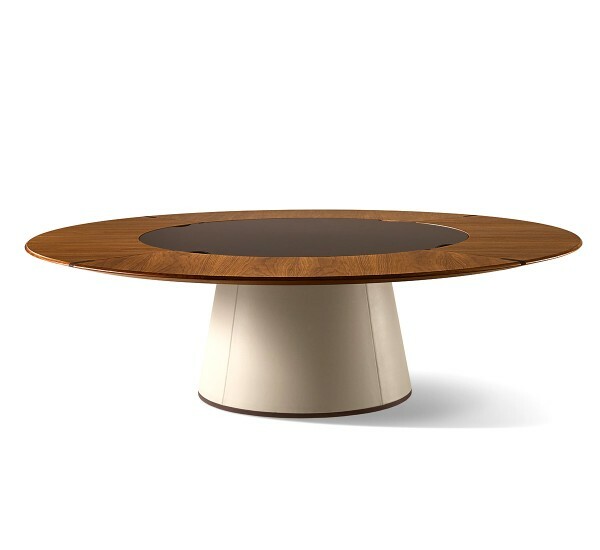 The top is available in round, square and rectangular versions in multiple sizes. 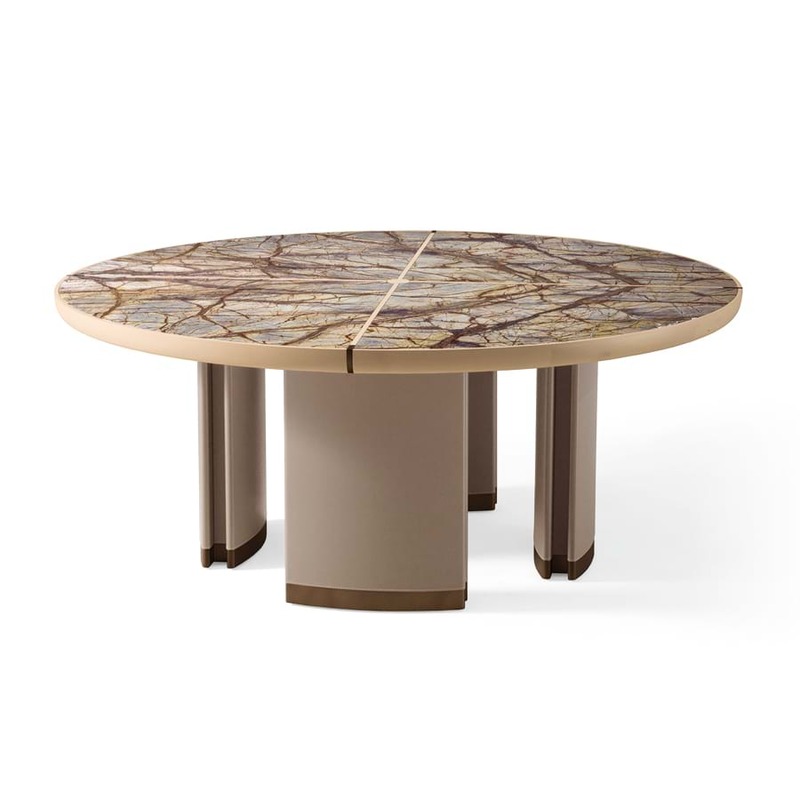 There are many different top finishes, ranging from Smoked Grey tempered glass to Calacatta marble, as well as sophisticated wood options like Burled Walnut and oak, offered in natural brushed open pore stained in Grey, open pore lacquered in Moka or Black.